"Passionate about selling, marketing and social media"
Most of us have used a wide variety of Customer Relationship Managers (CRMs). 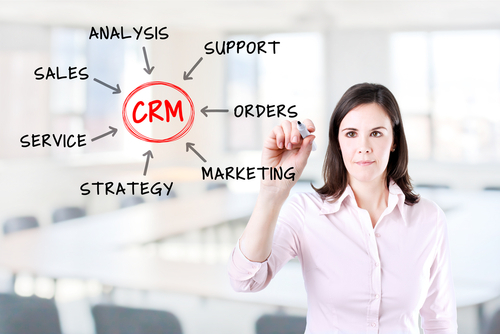 But in case you are new to the sales profession, a CRM is a software system designed to maintain and update customer and prospect records. Those records would include basic information such as names, company names, phone and fax numbers, and e-mail addresses. More sophisticated systems would include order history, sales notes, billing information, and a call-back schedule to plan your upcoming calls or meetings. Marketing tools may be included to help track customers and prospects using social media. Still, others will allow you to develop and keep track of marketing campaigns. The major purpose of a CRM is to maximize your time, set priorities, and target those customers and prospects you believe will generate the most sales. In short, it is designed to save you time and money. I have used seven different CRMs in my career. Some of them are homegrown, and others are off the shelf tools like Advantage,SalesLogix,TeleMagic,Salesforce.com, and Microsoft Access. While I have never used them, I’ve heard positive feedback from salespeople who have used Act! and Goldmine. The Homegrown databases were created specifically by my employers and are not available in the open market. Some employers believe that developing their own CRMs tailored to the needs of their sales, marketing and billing staffs are worth the expense. In the long run, homegrown CRMs are easier to maintain and upgrade and no license fees are paid to a vendor. If the employer decides to convert from his homegrown CRM to another one, he doesn’t need permission from a vendor or has to deal with the hassle doing a conversion within a limited time frame. I once worked for a mid-size publishing company that was forced to dump all its records from one CRM to a new CRM on a strict deadline because the vendor was upset about the switch. The fast conversion process created a total mess of records in the new CRM that took months to organize. My favorite off-the-shelf CRM is Salesforce.com. I find the interface easy on the eye, is user-friendly and does a great job of maintaining customer records and call-back schedules. If you glance at most help-wanted ads these days, you will find a lot of employers require you to have experience using Salesforce.com. Don’t worry if you don’t know how to use the database. Most employers will train you. I was able to learn how to use the basic features of the program within a couple of days. There are also several books on the market to teach you how to use Salesforce.com if you want more detail. No matter which database you are required to use, take some time to learn how to use it properly. Any of these tools will save you an enormous amount of time and make you a more effective and efficient salesperson. In part 2 of this post, I will discuss the common mistakes of using CRMs. Should you leave voice mail messages?